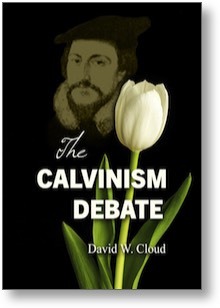 I have examined Calvinism many times during the past three decades and have read materials such as Calvin’s Institutes; Arthur Pink’s The Sovereignty of God; the Westminster Confession of Faith; Iain Murray’s Spurgeon vs. the Hyper-Calvinists; Debating Calvinism: Five Points, Two Views by Dave Hunt and James White, to name a few. As best as I know how, I have studied these materials with the sole desire to know the truth and to follow it wherever it leads. Thus, I have made a considerable effort to understand Calvinism properly and not to misrepresent it (though I have learned that a non-Calvinist will ALWAYS be charged with misrepresentation). The chapters in this book include The Central Errors of Calvinism, Beware of Quick Prayerism, Calvin’s Camels (Scriptures that contradict Calvinism), Calvinism’s Proof Texts Examined, and What about Hyper-Calvinism? Book: Softcover, 136 pages, 5.5x8.5 in.